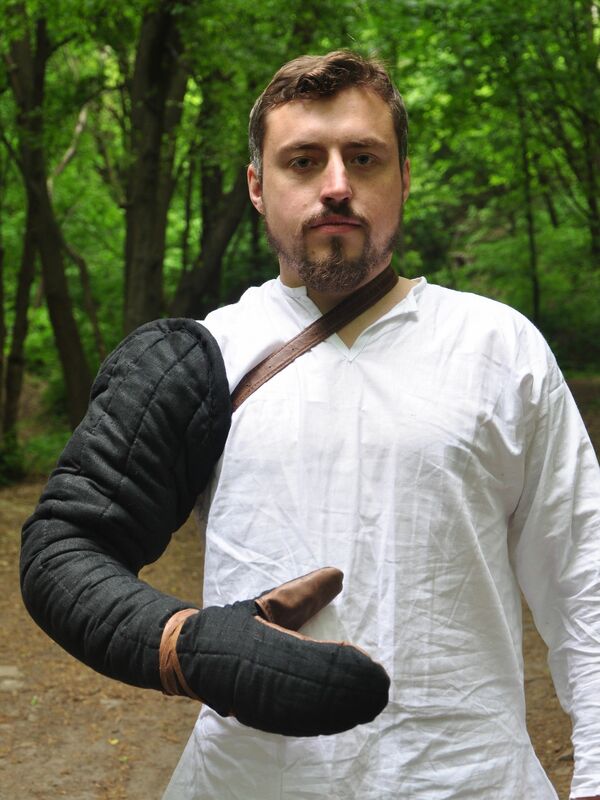 Manica was a widespread element of padded arm protection. It could be made of soft padded or quilted few-layered clothes. Such protection was fixed with leather belt and strings on the arm.